If your Asheville commute could use a little bit more excitement, experience what the new Honda Civic can bring to the road. In terms of style, the Honda Civic interior is packed with the comfort and convenience features you’ll appreciate, such as a design-centric information display, electric parking brake, satellite-linked navigation, HondaLink®, and more. Add this in line with the exterior features—multiple color options and available accessories—and this vehicle will make heads turn when you hit the Hendersonville streets. Aside from comfort and convenience and style, the new Honda Civic boasts the right safety to give you peace of mind on the Johnson City roads. Equipped with Honda Sensing™, the Honda Civic safety features include road departure mitigation, adaptive cruise control, lane keeping assist, and more. 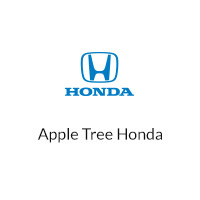 If you’re ready to bring the Honda Civic home, or compare it to the Honda Accord, contact Apple Tree Honda today to schedule your test drive. Or if you’re ever in need of a vehicle rental, ask for the Honda Civic from our rental department.